offers an accredited U.S. HS diploma, without leaving Angola. Students who have finished their 8th year in school are considered high school students and can seek admission into our U.S. High School diploma granting program. ASA offers both day and boarding options at both schools for grades 9 – 12 (ages 14 – 17). The school accepts students in January/February and August / September. All other requests for irregular enrollment dates will be considered on an individual basis. Students whose academic or social emotional needs exceed the capacity of our professional staff will not be accepted. Parents are expected to provide truthful complete information regarding their child, prior to enrollment, as non-disclosure of relevant pre-existing student issues can result in termination of enrollment. All special education students will be accepted on an individual case by case basis. English is the language of instruction and proficiency is emphasized as part of the program. Our lead classroom teachers are all English native speakers. They are supported by international English-speaking teacher aides (learning coaches). Additionally, we have a team of teachers providing virtual support services to our program. Low teacher pupil ratios ensure individualized attention to social-emotional development and academic success. Our motto is Be Extraordinary – we strive to assist each student to achieve this goal. 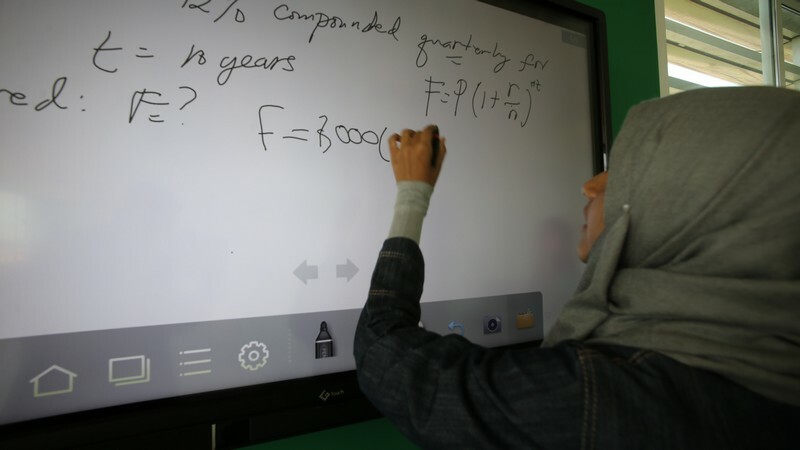 High School students are engaged in their daily lessons and activities via high quality grade level computer delivered courses, coupled with working alongside our U.S. certified classroom teachers within our technology rich classrooms. Students work independently or in small groups; there are no large group lectures by our classroom teachers. The program is student centered, not teacher centered. Our classroom teachers facilitate good choices, time management and work habits as well as provide individualized or small group tutoring sessions – either upon student request or as deemed needed by the teacher. Students who are fast learners can work at their own pace. Those that need more time, can take more time, while being assisted by their classroom teacher to help them over any more difficult content/concept units. Students (teachers and parents) can monitor their progress and grades using their real time dashboard within the courses. 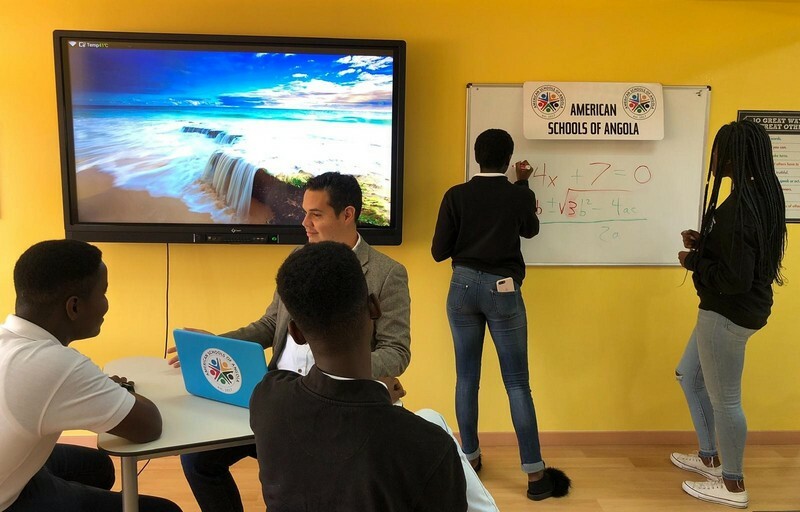 The curriculum of the ASA is powered by an experienced curriculum provider with over 60 years of experience and one million students enrolled worldwide. Our program / diploma is accredited based on our formal partnership with the curriculum provider. Development of teacher student relationships. Mastery of content and concepts are required - a 100% completion of each course with an 80% or higher score – insuring a strong foundation for future academic success. Our accredited, academically rigorous High School program is reflective of the highest international standards. Whether a student is craving a greater academic challenge, wants to learn in a 21st century blended model or is not happy in a typical high school environment, our High School program is your choice. ASA provides students with an extraordinary curriculum (with established academic expectations), supports students in their development of thinking skills, empowers them with global competency and leadership tools while championing effective lifelong habits they will need to succeed in college, career, and life. Electives - Honors, AP courses, World Languages, Elective courses, Introduction courses to specific career choices (pre-med, scientist, IT, law enforcement, tourism, engineering, entrepreneurship….) and Technology courses too. American Schools of Angola offers an accredited U.S. HS diploma, without leaving Angola. ASA graduating students are guaranteed acceptance into at least one of our participating partner U.S. universities. Ask about for the list of these pathway universities. Our diploma is recognized and valued worldwide.